The EU only sees a political solution to the crisis in Venezuela. That is why it has been decided to explore whether a 'counter group' can be formed together with partners in the region, which should facilitate the political process leading to the restoration of the democratic legal order. 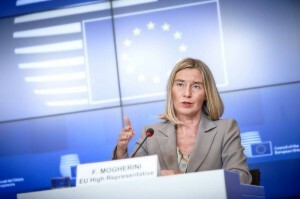 It is not about mediation or dialogue because the situation does not lend itself to that, according to Mogherini.